Story-circle with all participants getting seen and herd. Inclusive of anyone who has or had or will had a menstrual cycle or is just really interested in the topic. LGBTQ2S+ safe place. SCIENCE! Learning what your mama or junior-high friend with older sisters never taught you. What is actually happening in our bodies? Strategy: "My body is so cool. Now what?" How to practically schedule, plan and support ourselves physically, emotionally, spiritually and professionally. Snacks. Usually. And tea. Depending on where we are. Kinship and connection. To nature, to source, to each other. 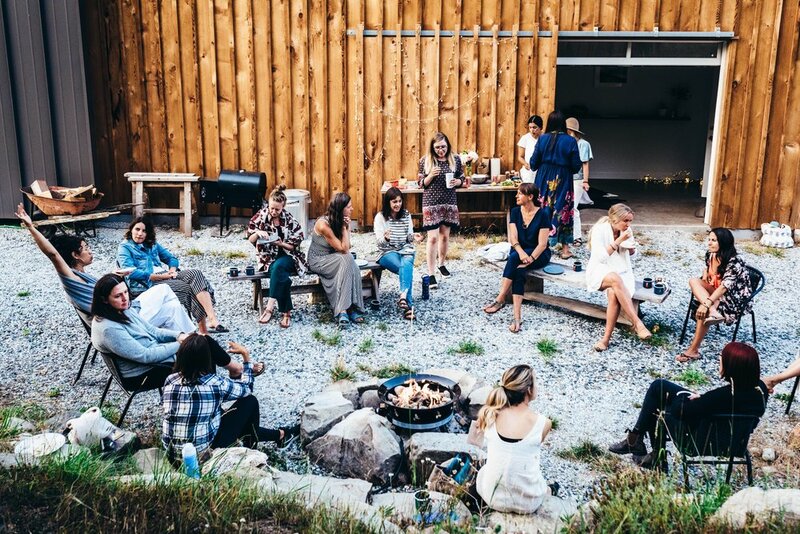 In collaboration with the picturesque Salty Pear BnB on Saltspring Island, I will be leading the workshop in nature followed by a feast and full moon circle. We will be gathering on the land at 6:30pm to learn and to celebrate the full-moon with bonfire and night sky-gazing. For locals, it is an easy Friday night jaunt, for off-islanders, book a bnb or bring your tent (there will be lots of spots to camp onsite). One delicious evening meal is included in your ticket. Also lots of sheep watching. Sauna and bonfire will be going until late.